Attention;1phone switched on, confirm unlock. 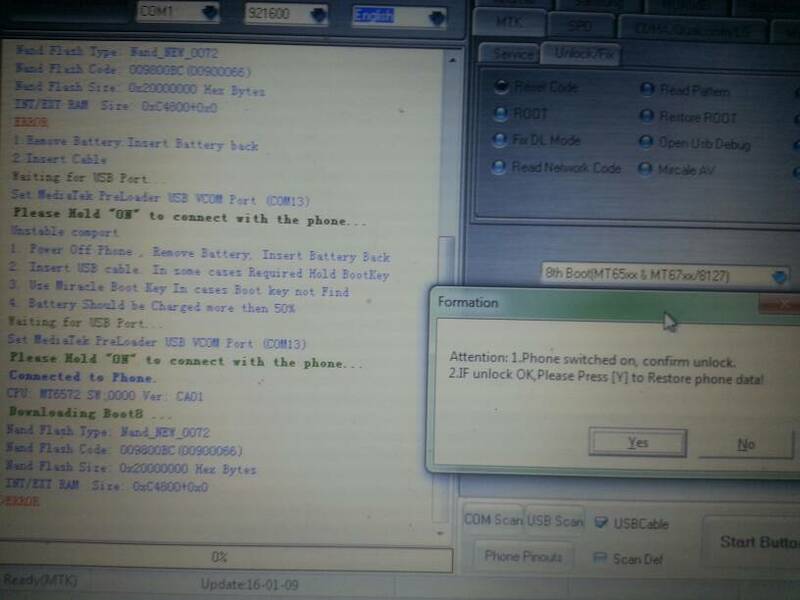 2.IF unlock on,please press Y to restore phone data. (06-03-2016, 03:31 PM)kainji1 Wrote: Did that software require box to work??? can i load a custom download agent for a phone which has a secure boot? (09-20-2018, 10:10 AM)Donbauer Wrote: can i load a custom download agent for a phone which has a secure boot? Yes, but miracle (loader version) doesn't have provision for DA. You can only load DA on CM2, NCK or SP flashtool. Is there anything wrong with your device? NCK Box MTK Loader (Without Box) v2.5.6.2 100% Working!! !